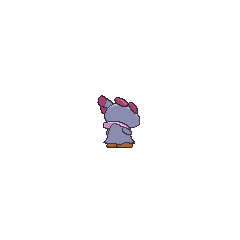 Snubbull in game: 2,864 Who? Important notice! Pokemon Snubbull is a fictional character of humans. 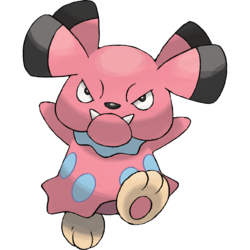 Snubbull (Japanese: ブルー Bull) is a Fairy-type Pokémon introduced in Generation II. Prior to Generation VI, it was a Normal-type Pokémon. 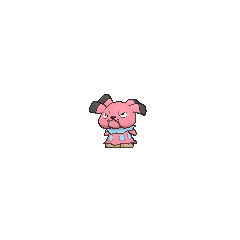 In Pikachu's Vacation Snubbull is the leader of the group that fights against Pikachu and co. This appearance made it one of the first few Generation II Pokémon to appear in the anime. A Snubbull appeared in When Light and Dark Collide!, under the ownership of Carl. A Snubbull nicknamed Winthrop under the ownership of an unnamed Trainer appeared in Snubbull Snobbery. A Snubbull appeared in Jessie's fantasy, in Three Jynx and a Baby!. 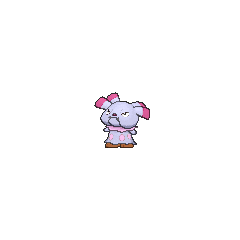 A Snubbull appeared in Party Dancecapades!, under the ownership of a Pokémon Performer participating in a dance party. Green first traded her Snubbull with Silver's Horsea before but then they traded them again, having done so before The Might of... Metapod?!. Her Snubbull evolved into Granbull in the FireRed & LeafGreen chapter. 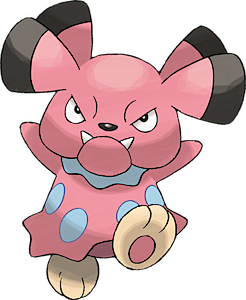 Another Snubbull is seen as one of the Pokémon at Earl's Pokémon Academy in Violet City in Slugging It Out With Slugma. The more Snubbull in the puzzle area, the more damage. Snubbull is based on a bulldog. Its category and type may reference the Cù Sìth, a mythological creature in Celtic mythology whose name literally translates to "dog fairy". Bull is a shortening of bulldog.